Who will win the race to space: Blue Origin or SpaceX? Can classroom educators become 3D printing experts? Would you wear 3D printed lingerie? How can additive manufacturing restore historical art pieces? 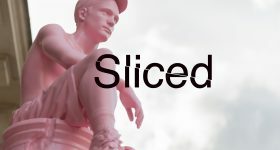 These questions and more from MakerBot, AIDC, RP Support, Digital Metal, Tanked, the MTC, Xometry in this edition of the Sliced 3D printing news digest. 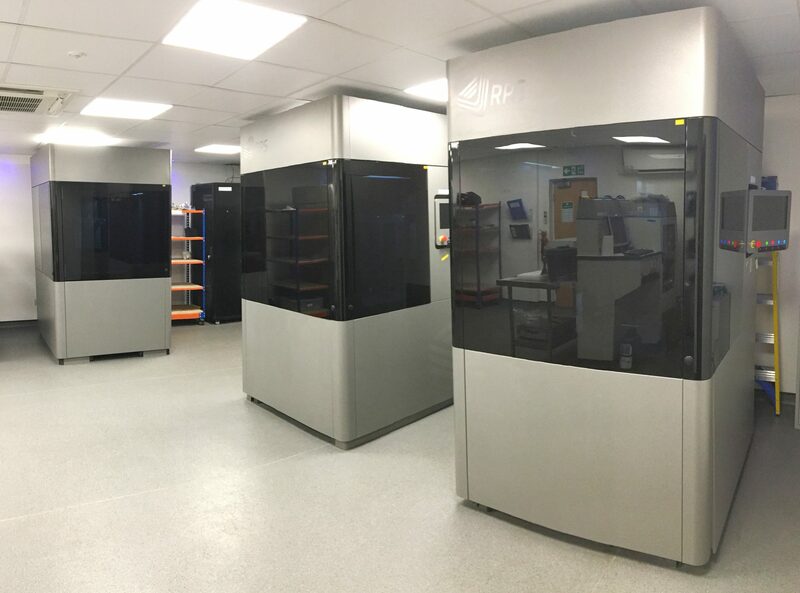 Paragon Rapid Technologies, rapid prototyping specialists and service provider based in Durham, UK, is the first in the world to receive three NEO800 3D printers from the 3D printer manufacturer, RP Support. Reacting to the increasing demand for water-resistant, durable and clear components, the NEO800 uses SLA technology to 3D print high-caliber side wall parts with superior build definition which decreases the need for surface finishing. 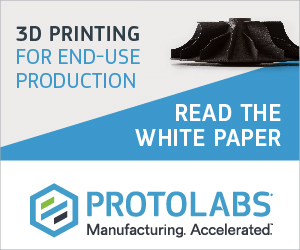 “The industry is constantly pushing the boundaries of 3D print performance, with users looking for more economical ways of producing their parts and products. 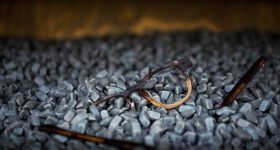 We’ve found that our NEO800 machines are far exceeding expectations,” said Phil Adamson, Managing Director at Paragon. 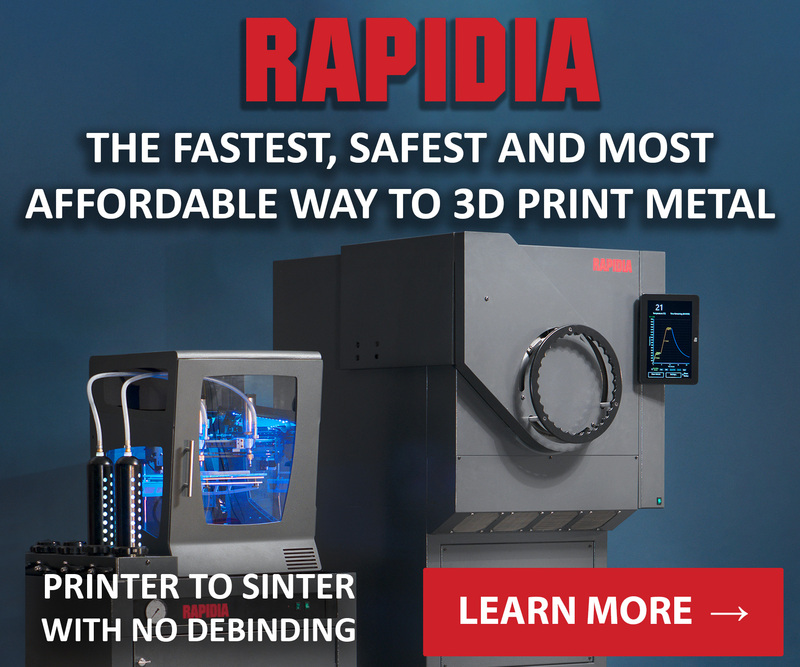 Three NEO800 3D printers now available at Paragon Rapid Technologies. Photo via ADS Advance. 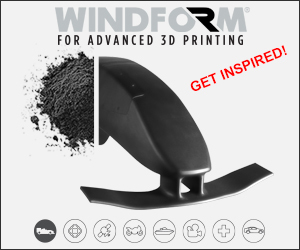 Recognising the applications for aerospace and automotive industries, Taiwan’s Aerospace Industrial Development Corporation (AIDC) is examining the use of 3D printing technologies to efficiently produce airplane engine parts and components. According to Anson Liao, Chairman of the AIDC, additive manufacturing processes can help reduce the raw materials consumption by up to 90% for airplane engines. In other news, Jeff Bezos, CEO of Amazon and Founder of the Washington-based aerospace company, Blue Origin, aims to sell tickets for commercial flights to space in 2019. Rivaling SpaceX, this ambitious project is currently developing reusable rockets with 3D printed components and materials to enable cost-efficient space travel for the human race. 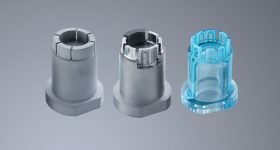 FIT Additive Manufacturing Group, a German rapid prototyping service provider, has announced its newest Japanese subsidiary, FIT Japan KK. 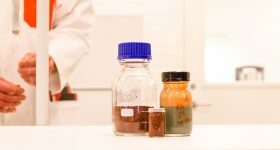 BigRep, the large format 3D printing specialist that recently partnered with global materials company, BASF, has announced another partnership with the Direct Manufacturing Research Center (DMRC) located at the University of Paderborn in Germany. “Being a partner in the DMRC allows us to connect with a diverse array of companies across sectors, all with a common goal – to optimize manufacturing for the future. We look forward to collaborating on ground-breaking projects with them and expanding our portfolio of research,” said Stephan Beyer, CEO of BigRep. The Manufacturing Technology Centre (MTC) has added a Digital Metal 3D printer to its portfolio of advanced manufacturing equipment. 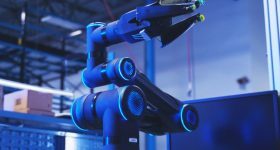 This technology, which is not yet available elsewhere in the UK, will be operational next month at MTC’s National Centre for Additive Manufacturing (NCAM), in Coventry. 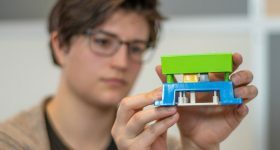 Dassault Systèmes, a European 3D software company who recently launched its 3DEXPERIENCE Marketplace, and UMass Lowell, a Massachusetts-based public research institution, have launched a digital learning center that will teach student engineers the design processes of additively manufactured products. 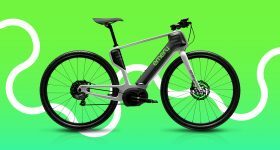 “Technology is fuelling a new generation of customers that demand web-connected, customizable, sustainably-produced products and the product designers of tomorrow will need the knowledge and skills to deliver on these expectations,” said Dean Marsh, Managing Director, North America, Dassault Systèmes. 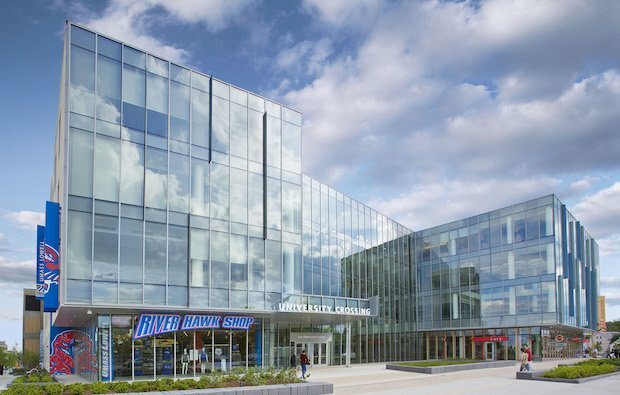 The UMass Lowell University Crossing student center in Massachusetts. Photo via UMass. Additionally, The National Center for Manufacturing Sciences (NCMS) based in Detroit, has announced plans to open a new additive manufacturing innovation center in Maryland which will house factory machinery for the manufacturing of aerospace, automotive and military-grade parts. MakerBot, an award-winning desktop 3D printer manufacturer based in New York, has earned the International Society for Technology in Education (ISTE) Seal of Alignment for its new MakerBot Certification Program. 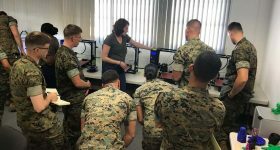 This educational program, which met the standards of the ISTE for classroom educators, plans to address any issues of implementing 3D printers in STEM classrooms. This will be done by training teachers to become 3D printing experts through their own custom 3D printing curriculum. MakerBot educators using 3D printing technologies in the classroom. Photo via MakerBot. American reality show, Tanked, which follows Las Vegas-based Acrylic Tank Manufacturers (ATM) Brett Raymer and Wayde King, featured a large format 3D printer in its latest episode. During the episode, NASCAR driver Kurt Busch and his wife asked for a fish tank that would reflect their island-themed wedding. 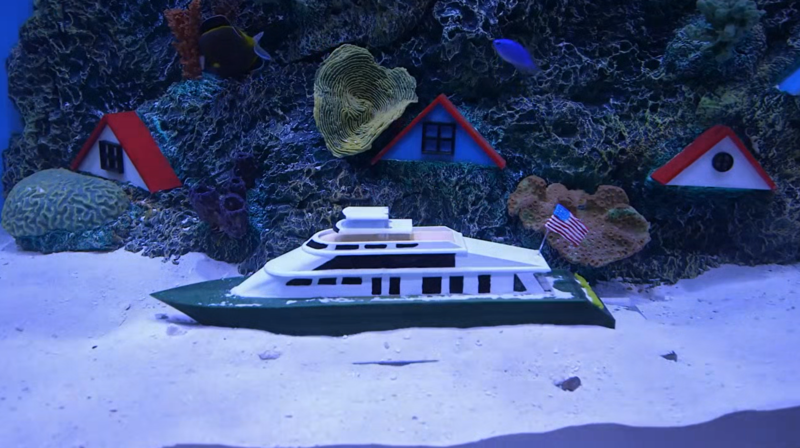 To recreate props for their customized aquarium, the Tanked team scanned a photo of a yacht to produce a 3D printed model. The miniature boat was printed from PETG plastic with two contrasting coloured filaments. Comparing the alternative method of assembling the boats by hand, King commented on the benefits of using the additive manufacturing process. 3D printed yacht in an aquarium created using a large format 3D printer. Image via Animal Planet. Endeer, a Parisian company using tech solutions to improve lingerie, has launched SHAPE on Indeigogo the company’s first 3D printed bra with a customizable underwire. Mattia Mercante, a restorer of cultural heritage who collaborates with the Italian Ministry for Cultural Heritage’s Opificio delle Pietre Dure institute in Florence, is using 3D scanning, CAD software, and 3D printing, from Formlabs, to restore artworks from the Renaissance period. A wood carving restoration right out of the 3D printer. The piece was painted to match the color of the wood before being mounted on the artwork. Photo via Formlabs. 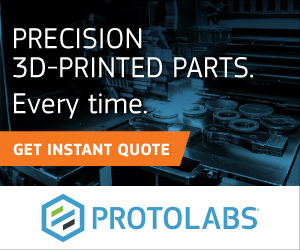 And Xometry, the on-demand 3D printing technologies manufacturing service provider, released the Xometry Instant Quoting Engine 3.0 – a quoting system for manufacturing processes such as CNC Machining, Sheet Metal Fabrication, 3D Printing, and Urethane Casting. “We are focused on creating a seamless buying experience for our customers. Using customer feedback, we made our quoting interface even more intuitive and efficient,” said Hunter Guerin, Product Manager for the Xometry Instant Quoting Engine. 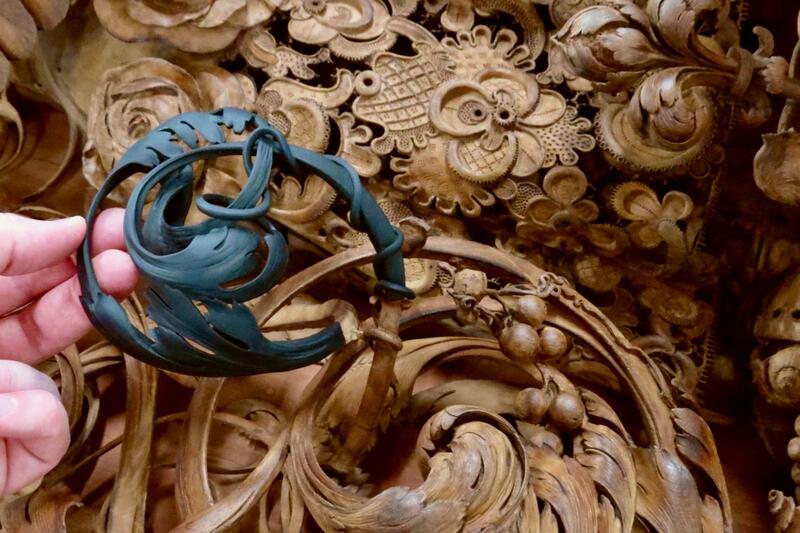 Featured image shows sliced logo over a wood carving restoration from a 3D printer. Photo via Formlabs.